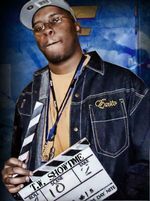 Sign up for Broadjam today to follow Terrance "Showtime" Wilburn, and be notified when they upload new stuff or update their news! This album is a collection of unreleased material by myself. A blend mix by 2008 S.E.A. Award winner DJ B. Nasty aka DJ Blendz.